414 pages | 74 Color Illus. | 74 B/W Illus. High-resolution x-ray diffraction and scattering is a key tool for structure analysis not only in bulk materials but also at surfaces and buried interfaces from the sub-nanometer range to micrometers. This book offers an overview of diffraction and scattering methods currently available at modern synchrotron sources and illustrates bulk and interface investigations of solid and liquid matter with up-to-date research examples. It presents important characteristics of the sources, experimental set-up, and new detector developments. The book also considers future exploitation of x-ray free electron lasers for diffraction applications. "This book is a splendid collection of chapters by well-known experts in the field of synchrotron x-ray diffraction. 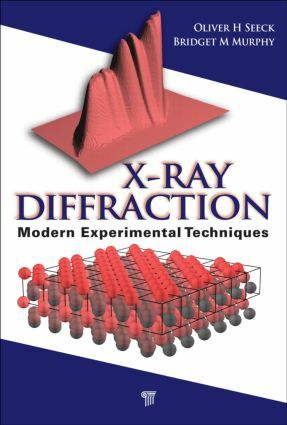 It is refreshing to see a diffraction-only version of x-ray physics because there are many more books available on x-ray spectroscopy. The chapters correspond almost exactly to a complete list of beamlines at one of our present-day facilities, so I recommend it wholeheartedly to students embarking on research at one of the world's synchrotron laboratories." "Synchrotron sources and synchrotron x-ray scattering techniques have undergone explosive growth in the last decade. It is therefore very timely to have this new collection of up-to-date reviews of the various types of x-ray scattering experiments being carried out at synchrotron facilities by experts in the field." "This book is an ideal textbook for graduate and undergraduate students in order to learn the state-of-the-art techniques from simple diffraction experiments to short-pulse free electron laser applications. I will certainly use this book for my lectures on x-ray physics." "There are a few synchrotron radiation sources scattered around the world that produce incredibly intense beams of x-rays. With some loss in intensity, the beams can be made coherent, too. These sources make possible a wide range of investigations into the nature of matter on an atomic level. This book is an up-to-date collection of research done by well-known experts at these facilities. There are 11 chapters devoted to various research areas dealing with solids and liquids, including small angle x-ray scattering, reflectivity at liquid interfaces, x-ray diffraction at extreme conditions (low temperatures and/or high pressures), and synchrotron tomography." Oliver H. Seeck graduated from the University of Kiel (Germany), studying the structure of thin layers and surfaces. He continued this research as post-doc at the Advanced Photon Source in Chicago. Thereafter, he worked as a scientist at Forschungszentrum Jülich, managing a diffraction beamline at DESY, Germany, and became a DESY faculty member in 2005. Until spring 2014, Seeck was responsible for the diffraction beamline P08 at the third-generation synchrotron radiation source PETRA III. He now heads the PETRA III experiments division. Bridget M. Murphy moved to Daresbury Synchrotron Radiation Source (CCLRC) in the UK upon completing her master’s at Dublin City University in Ireland. Working there as a beamline scientist, she specialized in x-ray scattering techniques. She moved to the University of Kiel to research phase transitions in strongly correlated systems and obtained her PhD in 2004. She continued to develop x-ray methods and investigating structure and dynamics of solid and liquid interfaces. At present, she is a faculty member at the University of Kiel.